0 Cherokee Village Vacation Rentals. A vacation rental in Cherokee Village, Arkansas is the ultimate destination to enjoy a week in one of the vacation homes, rental villas or condo rentals available in this great community. This 15,000 acre resort located in the beautiful Ozarks provides plenty of activities and attractions for you to enjoy while on vacation. The evenings at Cherokee Village you can enjoy a nice dinner at one of the amazing restaurants and watch the sunset over the lakes. After dinner check out one of the private clubs or the local bowling alley. If you are looking for a destination to enjoy a week of relaxation and fun, Cherokee Village is the destination for you. The scenery and atmosphere is absolutely amazing and it is a great place for couples or families to retreat! 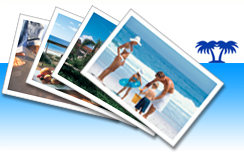 You can book your next Cherokee Village vacation right here at www.ivacationonline.com using ourvacation rental management software.Your next vacation is just minutes away from being booked!